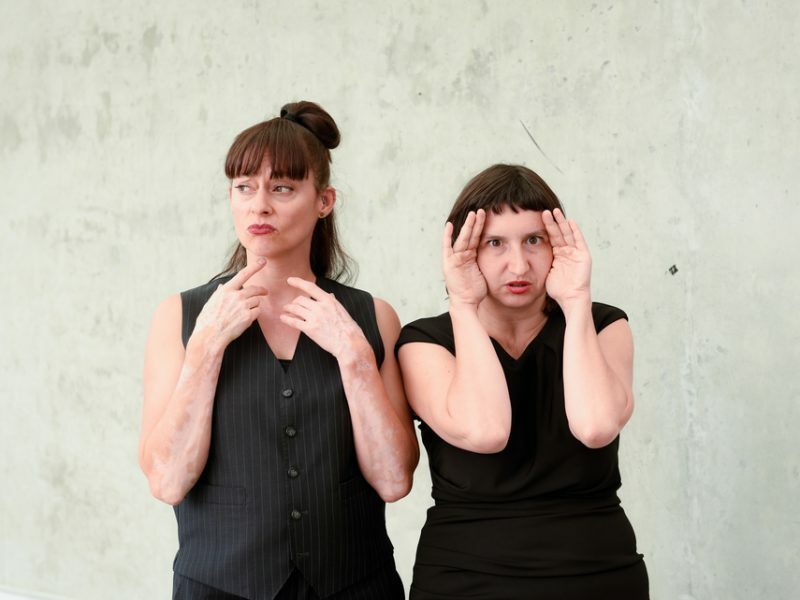 Tara Cheyenne Friedenberg and Italy’s Silvia Gribaudi collide and embrace in a new collaboration which navigates the role of comedy as a catalyst to understanding and communication, addressing questions of gender, culture, and language along the way. Both of these seriously funny women have crafted their own expert blends of physicality and characterization to create hilarious but poignant works that reflect on the absurdities of life and what it means to be human. 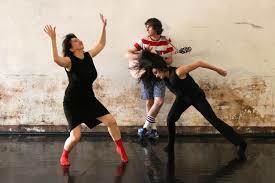 Featuring an original soundscape composed and performed live by musician Marc Stewart, empty.swimming.pool is a cocktail of dance, theatre, and voice, spiced with acute observations and subversive humour. Posted on 8 febbraio 2017 by silvia. This entry was posted in W O R K S. Bookmark the permalink.